Crafty Garden Mom: Have you voted?!?! 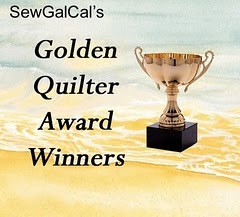 I just learned about the 2011 Golden Quilter Awards and think it's a great way to honor some fabulous contributors to this wonderful craft. I recognized so many of the nominees, and it was very hard to choose a favorite. Have you voted yet? If not, HURRY! Voting ends March 31st! And there are fabulous giveaway prizes when you do vote just by leaving yours as a comment at the bottom of the page. Hi Tanesha, I have voted now, thx! Wanted to tell you I am loving your podcasts! glad all is well with you and your baby, what surprises our children give us!! Haven't listened to all of your podcasts yet but if you haven't done one on the McKenna Ryan quilts I'd like to suggest that as a topic. 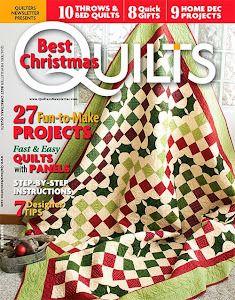 I love her quilts too but am too intimidated to try one. I love the beach one esp. Any tips you could share? Thx so much! 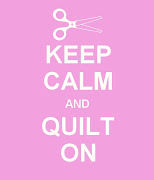 PS I am a newish quilter who hasn't done much applique but I want to do more! Thanks for listening to my podcast KatKing! I will definitely do one with more content about McKenna Ryan, thanks for the suggestion.